I love the work of textile designer Clarissa Hulse. 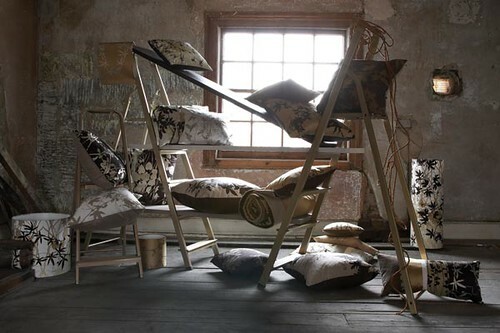 Her new 2008 collection is absolutely fabulous with cushions, lampshades, and hand printed silk douppion. 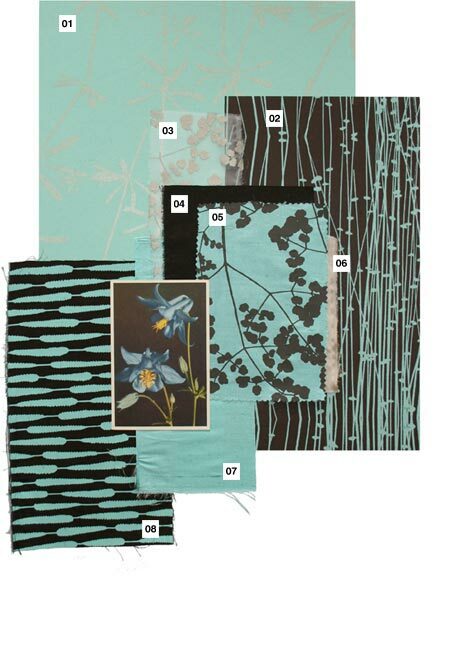 This Spring, Clarissa Hulse is offering something new – color palettes. Helping you to create a room with a perfect blend of colors and textiles, this new collection will inspire your springtime design plans. This prune palette is perfect for early Spring. Mixed with subtle grays and dark plum, this sophisticated platte will look beautiful in a room with neutral colors like white and cream. I love how brown, black and gold can come together to create a warm and exciting atmosphere. This peat palette is broken up by lighter tones so that the look is not muddy. This color combination is great for showing off a little bit of opulence. I could just see a black chandlier in a room with this palette. For that summer beach house, this aqua palette is just right. Pumped up by espresso brown, you can make a statement this is both beachy and glamorous. 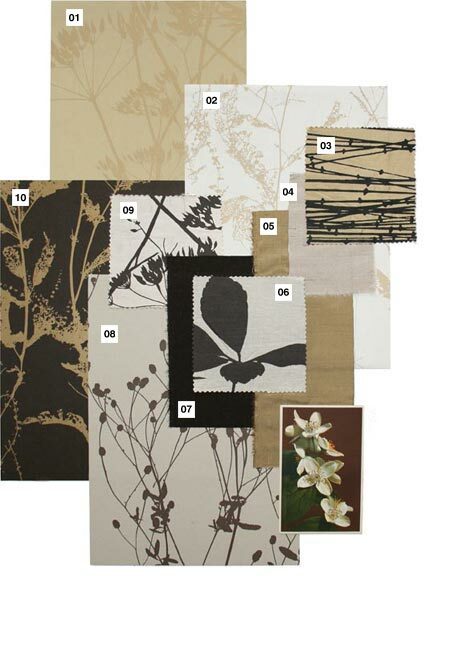 If you’re currently in search of a new color palette for 2008, visit Clarissa Hulse. 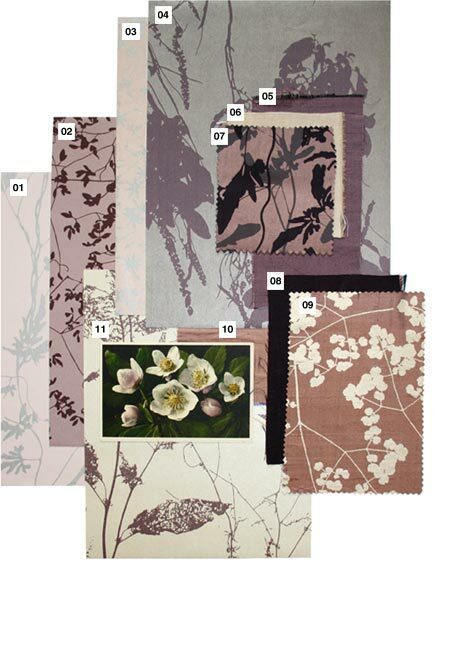 From now until May 31st they are offering 20% off all wallpapers as part of their exclusive Spring promotion. Just order and enter code 0408 for your discount. I do like your new look! And I have enjoyed the link to Clarisse Hulse. I love her reversible cushions! Great patterns and colors. Wonderful to look at – thanks!